Surveys can be booked by contacting Allister Pirrie by email apirrie@stanburys.com, or telephone 01462 894144. Our electrical thermographic surveys are carried out by our highly qualified and experienced Level 2 Thermographers who are also qualified Electrical Engineers with many years’ experience in this industry. 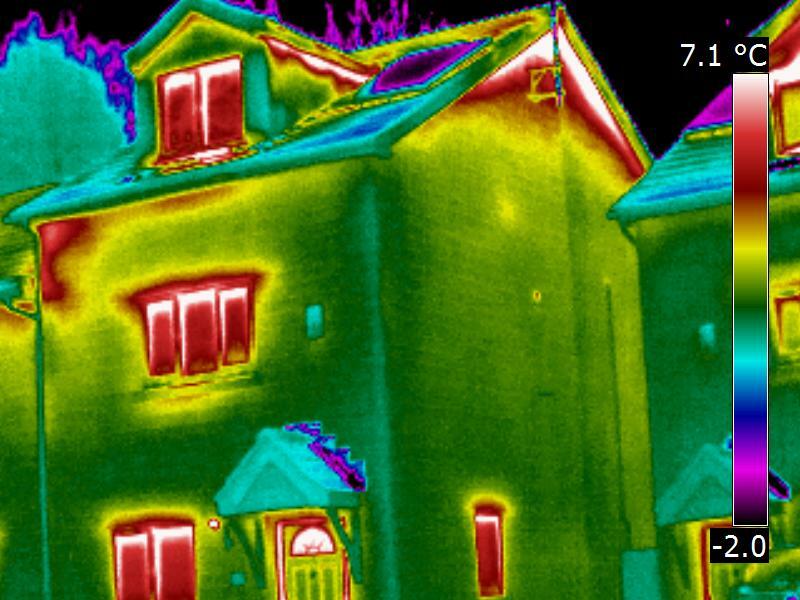 Our Thermographers have the full range of FLIR thermal imaging cameras at their disposal to enable them to carry out all electrical thermographic surveys in any environment although our highest specification FLIR T660 is generally used to make sure that your report is delivered with the highest quality. Carrying out regular electrical thermographic surveys can help to reduce safety risks and downtime by providing non-intrusive, non-contact inspections. Mechanical thermographic surveys are normally carried out in conjunction with an electrical thermographic survey as many faults that may be discovered are often directly related to an electrical problem and vice-versa. Energy Loss: Quick identification of insulation deficiencies. Pinpoints moisture problems. Air infiltration. Roof Moisture Thermography: Flat Roof Installations, Infrared inspection and evaluation provides you with the necessary information and documentation to make accurate decisions regarding an isolated repair or replacement of your roofs. We are currently carrying out regular electrical thermographic surveys throughout the UK for the country’s largest power supplier. These surveys include the thermal inspection of all: Busbars, capacitor banks, reactors, resistors, wall bushings, C.T.s and V.T.s, surge arrestors, disconnecter contacts, earthing transformers, thyristor valves, control panels. Stefan Gates’s ‘E Numbers’ - Monitoring cooking temperature. Sarah Beanies’s ‘Help my House is Falling Down’ - Showing structural anomalies in old houses. Richard Hammonds ‘Invisible Worlds’ -Demonstrating how forest fires gather momentum. Most Haunted - Monitoring temperature anomalies in ‘haunted’ buildings. G.H.O.S.T (Film production company) - Monitoring Temperature anomalies in haunted buildings. Anglia Home Improvements with Philippa Forrester. (Promotional filming) - Animal filming to demonstrate natural insulation of tropical animals versus animals from colder climates. Medical thermography is a non-invasive diagnostic technique that allows the examiner to visualise temperature changes in skin surface the may be caused by hidden problems. 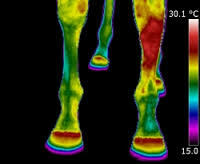 Equine Thermography is becoming increasingly popular within the UK and Thermal Cameras UK are happy to be a part of this. Our own Level 2 Thermographer has more than 20 years’ experience working in the Equine and Horse Racing industry. The main benefit of using thermography on horses or other animals are that temperature change is the first thing that changes when things start to go wrong. Equine Thermography will reveal those heat changes before a joint, for example, becomes irreparably injured or breaks down making this procedure both predictive and preventative.